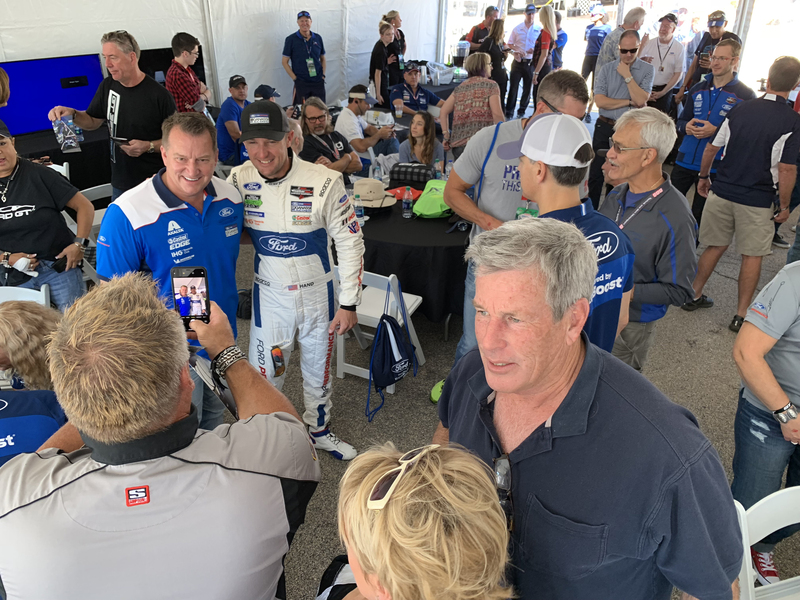 Ford and Chip Ganassi campaigned two Ford GTs at the final Road Atlanta event in the 2018 IMSA GTLM series. Cars number 66 and 67 competed in the final race, and while car 67 had a chance to win the driver’s championship their fifth-place finish wasn’t quite high enough to nab that title. But Ford’s GT did take home its first manufacturer’s title. 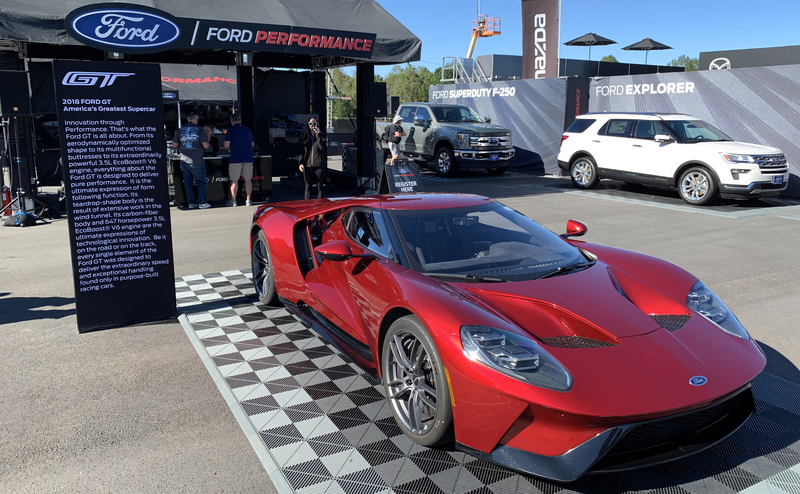 With first place finishes in five races this season the Ford GTs only needed to cross the starting line to secure the manufacturer’s title, which meant all the Ford GT owners in attendance could relax a bit after the first lap in the 10-hour race was over. I attended this year’s Petit Le Mans, even though I was between Ford GTs at the time. With my former 2005 Ford GT now owned by Doug DeMuro, and my new Ford GT about 3 months from being completed, I could only watch the 25-plus Ford GTs that did show up, several from as far away as Arizona, Michigan and Texas. 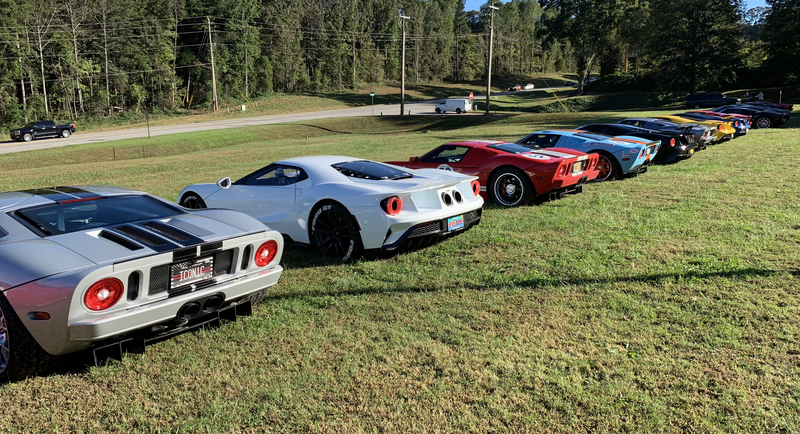 Despite not having my own GT it was, as always, amazing to see so many Ford GTs driving together on the roads between our host hotel in Alpharetta and Road Atlanta. This was the first owner’s event where new Ford GTs were rivaling the 2005-2006 models, with the total split nearly evenly between the two. On Friday we all caravanned to Road Atlanta and were allowed to park in front of BBS Wheels’ U.S. headquarters, which is right next to Road Atlanta. The line-up looked pretty impressive and created quite a sight for race fans entering the track. On Saturday, race day, there was a Ford GT Corral for parking the cars at Road Atlanta. 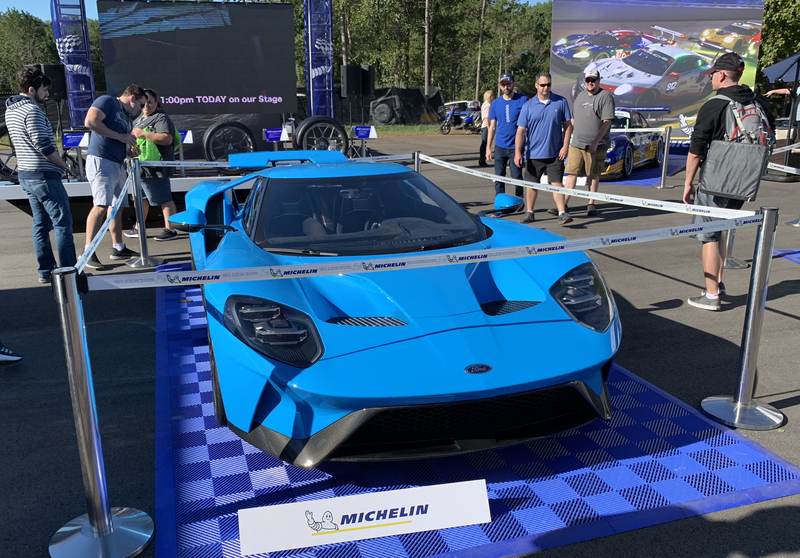 With 27 cars in the corral, plus a another Liquid Red Ford GT at the Ford Performance display, and Dave Bannister’s Riviera Blue GT at the Michelin booth, there were plenty of Blue Oval emblems throughout Road Atlanta. There’s still no confirmation on whether Ford will extend its race program beyond 4 years. 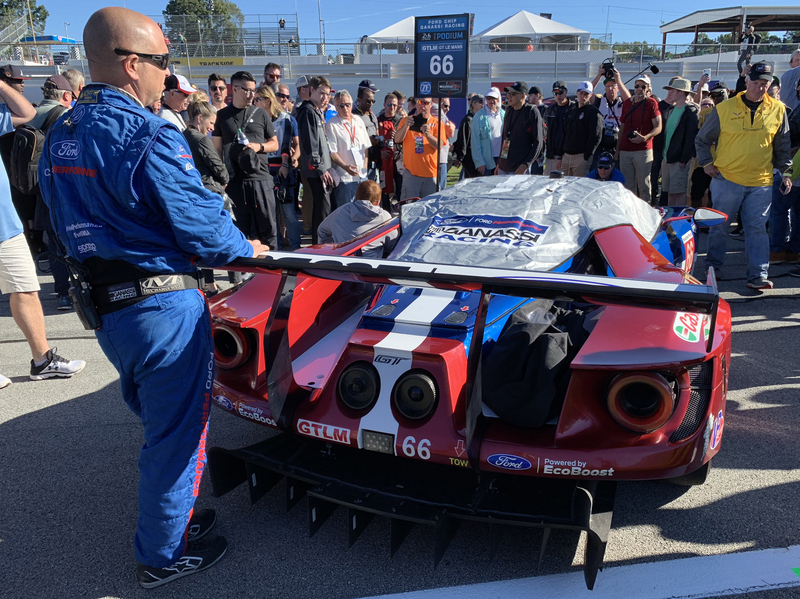 If it doesn’t, 2019 will be the last season with Ford backing of the GT race program. The teams seem to be getting stronger every season. Maybe 2019 will be the Ford GT’s best year yet for titles and championships. Either way, I’m looking forward to attending these events with my own Ford GT. Previous Post:Ford Will Produce More Ford GTs — But How Many is Too Many?